There are Baby Sensory franchises up and down the country, and wherever you are in the UK, there may well be Baby Sensory classes available nearby. To check where your nearest Baby Sensory branch is located, you can use the "Find a Class" feature on the main Baby Sensory website. There are even groups operating in Ireland and mainland Europe. I've been taking Quinn to Baby Sensory classes in Broadstairs for several weeks now, and it's one of the regular highlights of our week. 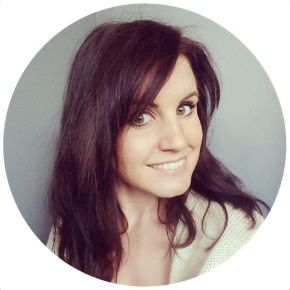 If you've been keen to find out more about what Baby Sensory actually is - I thought I'd share some insight in to what we get up to in a typical session. If you have a baby under 13 months, Baby Sensory can be hugely beneficial to their development, can encourage your bond with your baby, and gives parents and carers an opportunity to meet and socialise with people who have children of a similar age. I can't recommend it highly enough - especially for those who might be a bit nervous about going along to a baby group on their own for the first time. If the thought of turning up unannounced at a Mother & Baby group fills you with dread, taking your baby along to a more structured group like Baby Sensory might be a comfortable middle ground. Because the session takes on a "class" like format, where activities are undertaken as a group and under instruction from a class leader, there's no risk of you being left sat alone in a corner with nobody to talk to. During any lulls in the class, or specific time for socialising, the class leader is going to be keen to chat to you in order to get to know you and your baby, and groups are generally pretty small, so you'll always have someone to engage with. Typically during a Baby Sensory class all parents and their baby sit around in a circle on the floor, this allows everyone to see the class leader clearly, as well as engage with one another. At the beginning of each class, all parents and the class leader sing the Baby Sensory "Hello Song". 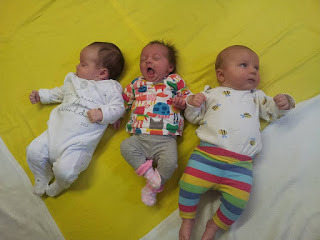 By singing the same song at the beginning of each class, the group enable the babies to recognise the tune, and associate it with the following hour of Baby Sensory - so as soon as they hear the Hello Song begin, they know what's to come. Don't worry if you're not a fabulous singer, you can sing as quietly as you want to to your baby. Of course you won't be expected to know all of the words, and whilst there are signs, or actions, throughout the song, you're not rehearsing for a great performance - and you only need to try and join in as best you can! Keep an eye on the class leader, who'll know all of the signs, and copy those that you can pick up easily, even if it's only waving every time you sing "Hello". After only a couple of sessions, Quinn's face lights up when she hears the music, as she knows she's about to get an hour of my undivided attention. The first 20 minutes of each baby sensory class focusses on very short activities that encourage your baby's sensory development. Babies under 13 months have a huge scope for sensory learning, through sight, sound, touch and movement they're able to take in enormous amounts of information about the world around them, and every new experience creates a new pathway in their brain. The more pathways that are created, the better equipped a baby is to make sense of the world around them. Activities might include twinkling lights, or shiny reflective surfaces, or textured fabrics, as well as simple songs which incorporate baby-signing, a simplified mixture of British Sign Language and Makanon signing, which helps parents and young babies to communicate before language has developed fully. Even a newborn baby is constantly learning a huge amount, and will benefit from Baby Sensory sessions. Some of Quinn's favourite activities at Baby Sensory include listening to the sounds created by different musical instruments, or having different textured fabrics fed through her hands to enable her to experience and recognise the changes in texture from say, silk to fur. She's enjoyed these activities since she was around 6 weeks old but you could start, and benefit, even earlier. The second 20 minutes of the session are dedicated to exploratory time. For older babies this is a great opportunity to escape the confines of the circle and to discover the toys and activities available elsewhere in the room. Smaller babies will usually benefit from a little tummy time at this interval, or, in Quinn's case, a good feed. If you're new to the group, the class leader will make a point of taking this opportunity to talk to you in more detail about how Baby Sensory will be benefitting you and your baby, and getting to know you both a little better. If you're a group regular, this is a nice opportunity to have a chat with the other parents in the group. After this period of exploratory time, there'll be another 20 minutes of structured developmental activities, under instruction from the group leader, before the class wraps up the "Goodbye Song", which aims to relax the babies at the end of the session. It's a lot for babies to take in - and they'll quite often have a long, heavy sleep after each session as their brains process all of the new information that they've taken in during the class. There are a number of similar (ish) classes run all over the country, but Baby Sensory is "The Original" if you like, and I prefer to attend genuine BS classes simply because each session is based on extensive research into infant development. Rather than singing some songs in a circle or banging the occasional tambourine (great fun, don't get me wrong) - Baby Sensory classes have been especially and carefully developed on a foundation of in-depth understanding of how babies learn. The sessions are designed to be fun, very silly, and a great social opportunity for parents, but they're also scientifically proven to assist babies in their on-going development. The classes aren't free (expect to pay in the region of £5 per hour) - but I do believe it's very much a "get what you pay for" kind of deal. We also go to some lovely baby groups where we sit about and sing nursery rhymes and I enjoy those too, but Baby Sensory is special. Most Baby Sensory groups offer a first session free trial, so that you can go along and find out what happens in a session before you start paying to attend; if you do nothing else this week Baby Mamas, I urge you to check out your local Baby Sensory branch.